A photo that I took in September 2013 of the new £190m "Library of Birmingham" by dutch architects Mecanoo. The interior of this building is simply glorious and uplifting. 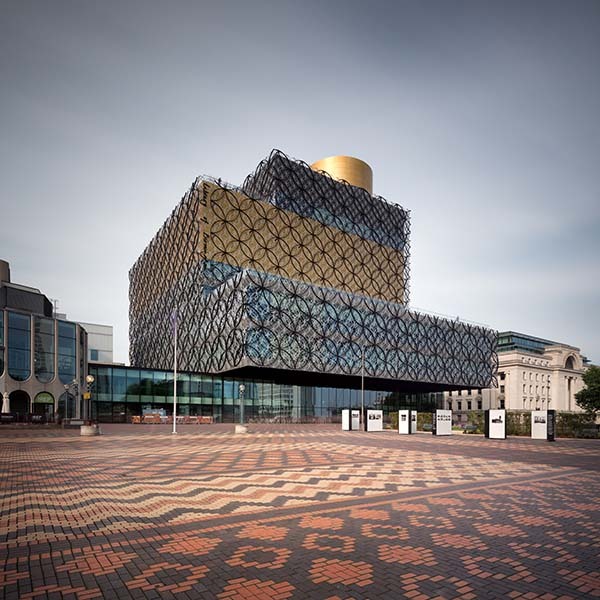 Birmingham is a city that is famous for its jewellery manufacturing and the architects seem to have drawn their inspiration from jewellery boxes. The soaring architectural interior is one of the most beautiful I've ever seen and a huge asset for the city. If I lived in the city I'd be visiting this building each day.